A recent review by Leeds City Council found that by using QRoutes to plan SEN home-to-school transport, the number of children who were in-vehicle for more than 75 minutes fell from 19% (July 2017) to 16% (September 2018). QRoutes also helped the team reduce the daily number of vehicles being used to deliver services from an average of 200 per day to 175 per day. This helps the authority keep costs down and reduce the impact on traffic congestion. Transport planning for children with mixed and often complex needs is a balancing act. Between the opposing pressures of rising entitlement and falling budgets are the clients. These children and families often rely on home-to-school transport as a vital bridge to friends, learning opportunities, and respite. QRoutes helped Leeds CC get more children to school in less time for less money. QRoutes helps transport planners by taking the legwork out of devising plans, producing optimised results in seconds rather than hours (or even days), giving them more time to apply their local expertise to finessing final plans, liaising with families, and operator contract management. 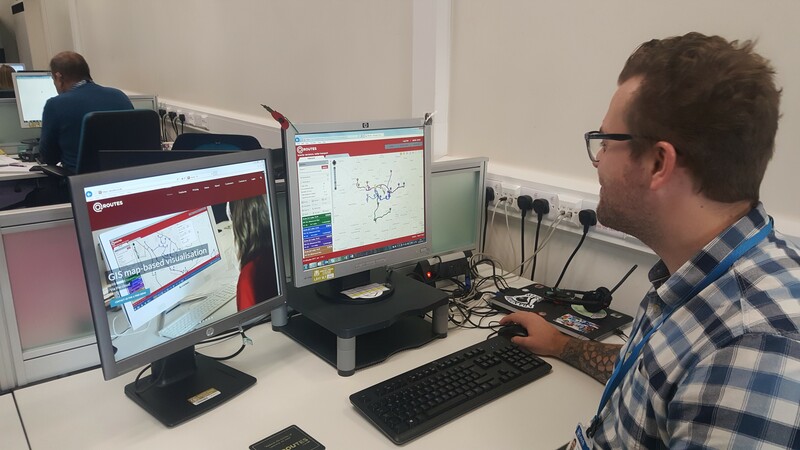 “This is the first year we have had a whole team of eight planners making use of a route planning tool because the QRoutes software is so easy to use” continues Dylan. Although transport planning for home-to-school transport is usually done with authorities’ transport teams, the budget is often owned by Children’s Services or Education. Alongside an improved experience for children, QRoutes regularly saves its customers up to £1m per annum. In a climate of rising demand and squeezed budgets, the passenger experience might be expected to be a victim. The Leeds CC example shows that does not need to be the case.